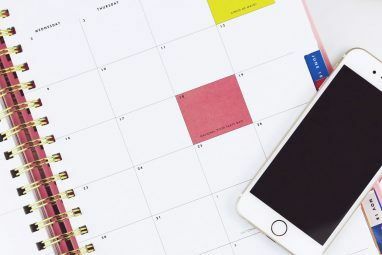 If you regularly work long days, have a big project that you’re working on, or tend to work strange hours, it can be tough to fit exercise into your day. But it’s especially during those times that you need to find time to work out! The stress relief benefits alone are worth finding a way to fit a workout in, even if it’s a really quick one. Here are some ideas for getting a workout into even the busiest of days. Just because you don’t have a lot of time doesn’t mean you can’t get a great workout. The science behind the 7-minute workout fad Use Free 7 Minute Workout Videos To Get Into Shape [Stuff to Watch] Use Free 7 Minute Workout Videos To Get Into Shape [Stuff to Watch] There are lots of YouTube videos that can show you exactly how your workouts should be going, and they won't cost you a penny. 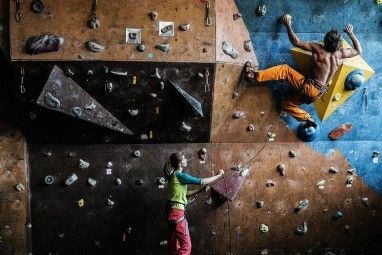 Read More is a little questionable, but there’s no debating that it’ll get your muscles working and your heart rate up. The Wahoo Fitness 7-Minute Workout app (iOS, Android, free) is a perfect app to get a quick workout in before work, after work, or any time you have a few minutes. There are lots of other great bodyweight workout apps The 7 Best Body Weight Exercise Apps for Fitness Anywhere The 7 Best Body Weight Exercise Apps for Fitness Anywhere You can get a great workout with just your body and your phone. These Android and iPhone apps help you exercise anywhere. Read More out there, too. If you have any suggestions, share them in the comments below! The Nike+ Training Club is a more versatile app that includes over 100 workouts that can target specific areas of your body, certain fitness goals, or different fitness levels. One of the categories of workouts, “Get Focused,” contains 15-minute workouts that target specific parts of your body. It’s not hard to commit to 15 minutes! Gorilla Workout is another way you can start exercising fast. Lot of the workouts included with the app will take you less than 15 minutes. You’ll progress through a number of stages, working your way up to harder workouts (which will likely take a bit more time). And with different categories, like Interval Insanity, Full Body Burner, Beach Body, and Anterior Agility, you’ll always have something different to try. BlockFit (iOS, Free) gives you 12 exercises that you can complete over the course of the day. 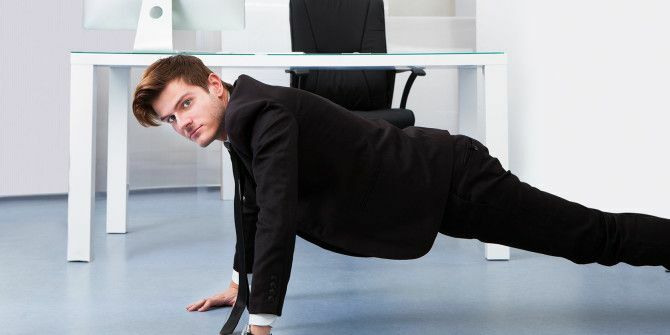 Nano Workout has an entire section of office exercises that you can do without even changing your clothes. NerdFitness has a lot of great workouts that don’t take much time, including great options like the Beginner Bodyweight Workout and the Angry Birds Workout. There are plenty of bodyweight workout options Easy Exercises You Can Do While In A Hotel Easy Exercises You Can Do While In A Hotel If you travel for work, exercising isn't always possible. Read More that don’t require a gym. You could get in your exercises right when you get home, or even keep some exercise clothes in your office so you can change quickly and get your workout before leaving work. Hitting the gym or going for a run after work seems like a pretty standard choice for a lot of people, but that doesn’t mean it’s right for you! Depending on your schedule and when you feel energetic and motivated, you may want to plan your workouts for a different time of day. For example, some people find that working out early in the morning works best — even if you aren’t a morning person, you can still find ways to build up a morning routine 3 Simple Ways Tech Can Help Build Your Morning Routine 3 Simple Ways Tech Can Help Build Your Morning Routine With a little thought and creativity, you can create the perfect start to your day, your way. If you're still working on your morning routine, here's a little inspiration. Read More so you can get your workout in. It just takes the right tools and some dedication. Some people find that working out over their lunch break is best. Others find that a late-night gym session right before bed is the only thing that works. 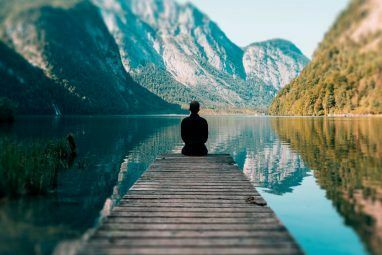 Spend some time figuring out when you’re most awake and productive Discover Your Most Productive Hours with This Simple Method Discover Your Most Productive Hours with This Simple Method Build your perfect workday around your energy levels. This simple Excel spreadsheet and a few seconds of work each day could help you change your habits and get more done. Read More , and work around that. If you have to, you can even split up your workout into several smaller sessions — ten minutes before your morning shower, five minutes at lunch, ten minutes when you get home from work, and fifteen minutes before bed, for example. There’s nothing like a good challenge to get you motivated to work out, even if you don’t have a whole lot of time. Take stair-climbing, for example, one of the best ways to burn calories at work. StepJockey (iOS, Android, free) lets you set personal goals and enter challenges based on steps and calories burned. You can even get Smart Signs with QR codes to help you keep track of your stepping and get others at your workplace involved. You can gamify absolutely anything Points For Everything: How I Tried to Win At Life With Gamification Points For Everything: How I Tried to Win At Life With Gamification My brain is stupid. It thinks I can get done tomorrow what I need to do today, and that I can do this afternoon what I need to do this morning. It puts everything off.... Read More to help stay motivated, if that works for you — I’ve had a great experience in using Habitica to help me stretch more and do more bodyweight exercises, and I highly recommend it. If you need more than experience points or a challenge from an app, Fitocracy might be for you. After a fitness assessment, you’ll be assigned an online fitness coach How to Get Fit with the Right Personal Trainer Online How to Get Fit with the Right Personal Trainer Online Is online training effective? Will you get the same benefits? And how can you go about finding the best trainer for you? Here's some advice for finding success in your online personal training. Read More who will design workouts specifically for you, as well as a personalized nutrition plan. By working with your coach on a daily basis, you’ll get the accountability and expert knowledge you need to stay healthy and gain fitness, no matter how much you’re working. You can also use Fitocracy for free to track workouts, earn badges, and monitor your progress. No matter how busy you are, it’s likely that there’s some inefficiency in your day. If you can just be a little more efficient Squeeze an Extra Hour out of Each Day with These 10 Quick Tips Squeeze an Extra Hour out of Each Day with These 10 Quick Tips A few simple habits can help us shed some inefficient ways and increase our reservoir of time doing the things that matter. These ideas can get you one extra productive hour every single day. Read More , you could cut 30 or even 60 minutes of work from your day, and have a bit more time to get your exercise in. Automating the tasks you have to do every day is a great way to save some time — you can use tools like Windows Task Scheduler 4 Boring Tasks You Can Automate With the Windows Task Scheduler 4 Boring Tasks You Can Automate With the Windows Task Scheduler Your time is too valuable to be wasted with repetitive tasks. Let us show you how to automate and schedule tasks. We have a few great examples, too. Read More , ToDoist and IFTTT Automate Your Life and Job With Todoist and IFTTT Automate Your Life and Job With Todoist and IFTTT Play creatively with ToDoist's notification features, and IFTTT's ability to accomplish really cool automations with them. We show you how combining the two powers your productivity. Read More , and even Photoshop How to Automate What You Do in Photoshop with Actions How to Automate What You Do in Photoshop with Actions Read More to remove effort from the things you need to do on a daily basis. Don’t underestimate the amount of time you can save even with a simple keyboard shortcut What Is Text Expansion & How Can It Help You Save Time? What Is Text Expansion & How Can It Help You Save Time? If you could save yourself even a small fraction of the time you spend typing, you could save hours of your time every week. That's exactly what text expansion is for. Read More ! One of the most significant places where you can cut time from your day is in emailing. We all have way too much email and not nearly enough time 7 Email Efficiency Tips To Get More Email Done, Faster 7 Email Efficiency Tips To Get More Email Done, Faster Life revolves around communication and literally nothing gets accomplished without it. Email is a communication tool meant to make your life easier. Instead of having to type up a letter or try to catch someone... Read More to deal with it. But if you make an effort to be more efficient in how you email 10 Tips To Help You Email More Efficiently 10 Tips To Help You Email More Efficiently The best advice I have heard about email and email productivity is – don’t answer emails first thing in the morning. It is a bit paradoxical but true that email and productivity are at loggerheads... Read More , you could save a few minutes each day, and that could add up to hours over a week or two. Once you’ve cleared out a bit of room on your schedule, make sure to put your workouts in your calendar. Having a time blocked out for exercise is much more likely to motivate you to actually do it than just putting it on a list or keeping it in the back of your mind. It’s not easy to fit workouts in when you feel like your day is already totally packed full of work and other obligations. And it can be discouraging when you miss one. But sticking with it is the crucial ingredient for success. Even if you have a bad couple days, or a bad couple weeks, you can always get started again. When you accidentally break the chain, start a new one and keep going! Find some inspiration 8 Inspirational Videos That Will Instantly Pump Up Your Motivation 8 Inspirational Videos That Will Instantly Pump Up Your Motivation How do you feel about motivational videos? You may think that they’re nothing more than glorified, digital pep rallies where overly optimistic people preach empty words of success, victory, and ultimately happiness. And to some... Read More , set some goals, and get to it. How do you fit in exercise on a busy day? Do you work out at a specific time, or do you try to split it up into smaller sessions? What stands in your way of exercising when you’re busy? Share your thoughts and best strategies below! Image Credits: Pushups At His Workplace by Andrey_Popov via Shutterstock, Antonio Guillem via Shutterstock, Maksim Kabakou via Shutterstock. Explore more about: Fitness, Health, Motivation, Time Management. Duolingo Helps You Learn How to Speak High ValyrianShould You Upgrade to Day One 2?